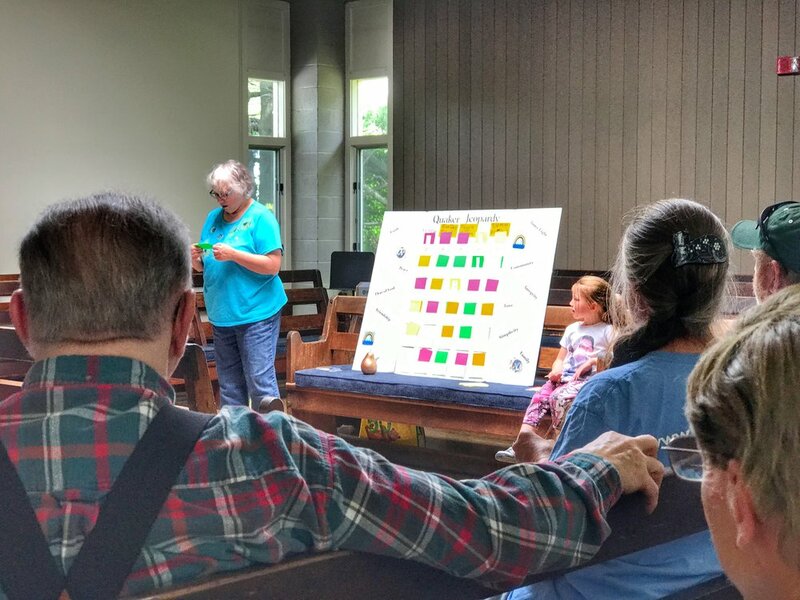 More than 75 people attended the Meeting for Worship and Celebration of Life of Kirt and Mary Lou Muhlhausen on Saturday, May 13. A heavy rainstorm passing through the Lehigh Valley prevented the family from hosting a gathering at the family home at Rainy Day Farm. Instead, the celebration fellowship meal took place in the common room of the meetinghouse. Family members commemorated their loved ones' lives with two sculptured breads. One inspiration for the family tradition came from a newspaper clipping, which a granddaughter shared. Today's bread gifts were a kitty and a woven bread bowl containing a bowl filled with apple butter. Debbie Orben calls for compassion in government in today's (May 11, 2017) Morning Call.